As we grow in life and love, we learn to balance our interests, relationships, and work. We know that the modern man appreciates items with dual meanings. The designer 6mm traditional domed polished finish 10K white gold wedding band strikes the perfect balance between fashion and function. There is a reason why white gold has endured as a popular wedding metal for centuries. 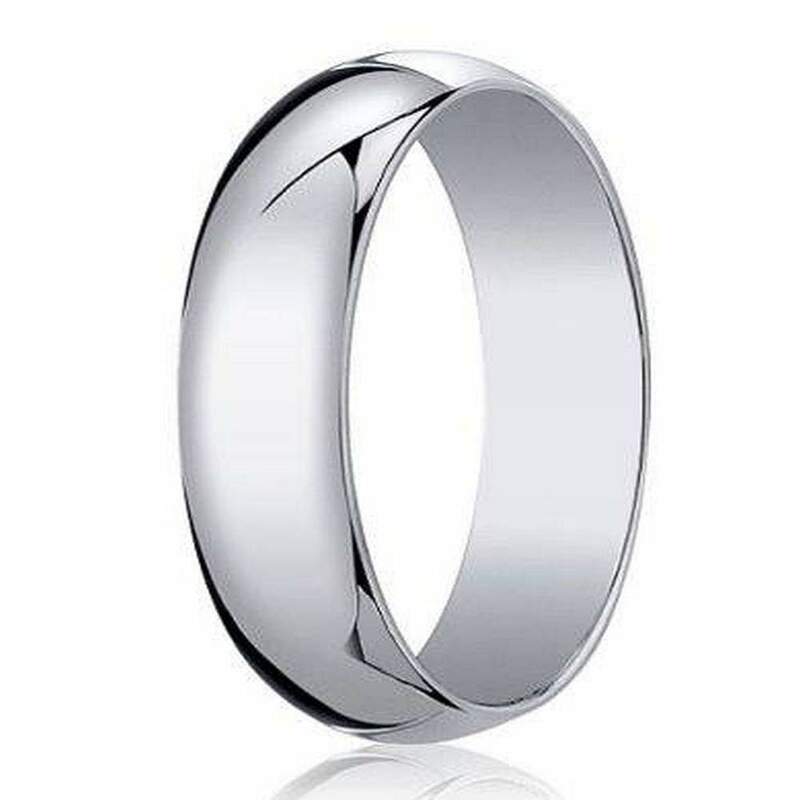 Perhaps it’s the silvery hue or the classically domed profile, but our men's designer 6mm traditional domed polished finish 10K white gold wedding band has a peculiar way of soothing the eye and seducing the soul. We proudly offer custom engraving services, so you can add a special sentiment to share with your spouse for many years to come. Finding your soulmate is no small task, but neither is finding the ring you want to wear forever. We hope that the designer 6mm traditional domed polished finish 10K white gold wedding band brings you as much joy as the daydream of your soon-to-be spouse walking down the aisle does. Each wedding ring of this style features a 1.3mm band and a lightweight, minimalist design that will remain timeless. We also include a free ring box to make gift-giving easier than ever before. Because the men's designer 6mm traditional domed polished finish 10K white gold wedding band features a traditional design, we recommend that you have your ring finger sized by a professional jeweler to ensure accuracy and comfort. Please contact us today with any questions about this white gold wedding band or custom engraving. The ring came in time and is amazing! My husband just loves it!